Soliciting opinions and ideas, please. Have been carrying a Kershaw 1955 (Showtime) for work as it is quite discreet and then my fav. ZT0450 (with a ZT0560 pocket clip for deep carry) at other times, but the Kershaw's clip is quite tough on pockets. Have pried up the clip, away from the knife body, which has helped. When MI finally allowed us to have switchblades, Brad very kindly helped with getting a Benchmade MiniReflex II and it is awesome ! A little problem, however: it is only right handed and doesn't want to go into my left front pocket with the clip (got the "deep carry" clip offered by Benchmade, after Brad told me of it, but it unfortunately really isn't that deep and still exposes the top of the knife handle). Is anyone using a lanyard in place of a pocket clip ? I carry my knives in my left-hand (weak side) front pocket as there is only about 40% use of my right/dominant hand and it's also as backup, should I need it whilst carrying concealed. Have been thinking of carrying the MiniReflex in my right front pocket on a lanyard as a (secondary) backup. I don't know if this will be of any help, but I have occasionally carried a Spyderco Ladybug, which as a small, clipless knife. 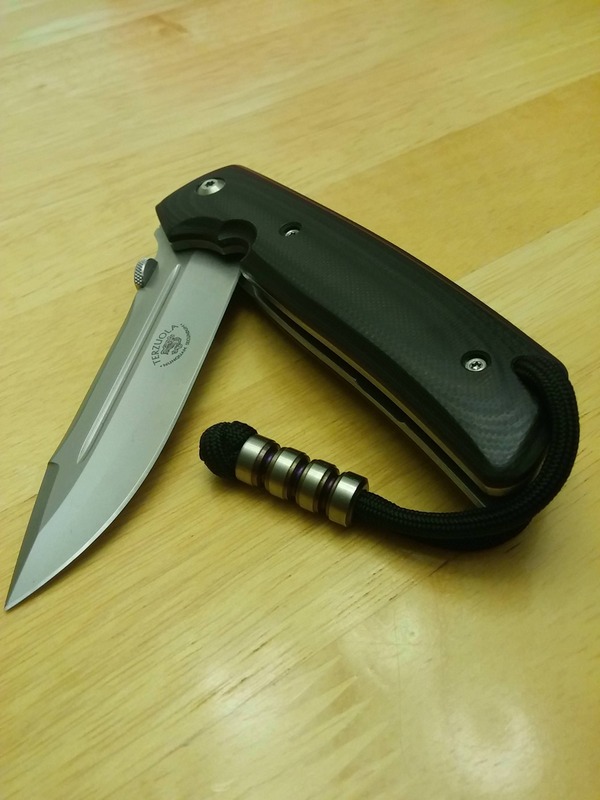 Because of the small handle size I added a lanyard, which does help with getting a grasp on the knife, both while using it and getting it out of the pocket. Try grabbing the knife out of the pocket. If you think you need the lanyard to get a better grip on it, I see no problem with adding one. Thanks, though, about not seeing a problem with adding a lanyard. It seemed a way to add the knife and more easily access it, but not seeing folks post much about using lanyards. I've experimented a good bit with Lanyards. I've even learned to tie them. I usually don't use pocket clips on my EDC because I work on cars and a pocket clip can and will scratch the hell out of a car. A lanyard is an excellent way to have something to grab onto outside of your pocket. Lanyards can also be quite advantageous in securing your knife while chopping and keeping your hand from moving forwards on the blade. There's a bunch of different Youtube videos on how to use a lanyard, some of them are BS but you'll likely get some good ideas and techniques if you can watch a few and filter out the bad ones (some of them are downright goofy). There's also several vids on how to tie them. I personally like one that allows me to shorten up to secure my knife during heavier use and won't allow my digits to accidentally slide into the blade. Anyway you really should try a lanyard for yourself. A little paracord doesn't cost much at all and it's something well worth experiment with especially if you have any issues digging deep into your pocket. Best of Luck! A little paracord with a lanyard/diamond knot is just class. Not just for carry but, if sized right for how you use it, really locks the knife into your hand. I've experimented a good bit with Lanyards. Wow. Thank you for the very thoughtful and detailed response ! I will indeed give it a try ! Thank you. Hopefully, I can find the right balance and one that will help me hold the knife more securely. Oh ! Thanks ! ! ! No idea that is a lanyard knot. Learned how to make that almost five decades ago and never forgot. I am not a lanyard guy. I like doing a little clip tapping throughout the day to confirm the knife is still there. The one time I tried carrying a knife with a lanyard and no clip, I found myself fumbling in my pocket to check for the knife (my wallet also rides right front). I would also advise against letting an auto roll around in your pocket so you don't risk unintentional opening. Maybe look into a Kershaw Link/Dividend, one of the Launch autos, or a ZT0801ti. They are all smooth on both sides so they won't tear up your pants. 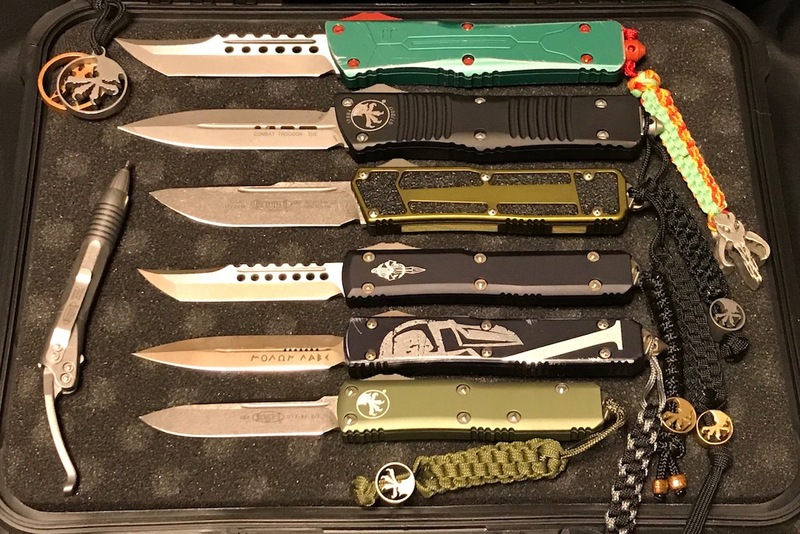 I never used lanyards on my knives. Then, I started carrying knives with deep-carry pocket clips and I was having difficulty getting the knife out of my pocket. I now use the pocket clips and pull on the lanyard to start the draw. The Benchmade has a very good lock, but you're right about that being a possibility with a knife. The lanyard will hopefully allow it to be better concealed as well as carry in the right front pocket more easily. Doing both the clip and lanyard might be a good solution and hadn't considered that. Also have a problem with the draw on the right side. How do you place the lanyard when using the clip ? Have you thought about a pocket sheath? No worries about the knife opening in your pocket. I only have lanyards on my Sebenzas and my Terzuola because a they have specific loops and my buddy made me some beads. If the knife doesn't have a lanyard loop, people just tie it around the rear backspacer as long as the blade doesn't hit the lanyard and cut it. I clip it to my right pocket and the lanyard hangs out. The only one that bothers me is the Bounty Hunter Mandalorian lanyard. It has the heavy pewter bead and bangs around. WOW ! That is a beautiful, big knife ! Ahhhh, hah. Okay, thanks. So the lanyard is visible. Got it. Maybe I can come up with something between using a lanyard and a sheath, that will allow it all to work with the auto. Ah, hadn't thought about that aspect. So, mebbe just the lanyard to start and go from there. With the CR Large Sebenza's I have, the lanyard is useful only when using the clip. It's not long enough to be useful if the knife is just dropped in the pocket. I don't know if CR sells a deep carry clip, but there are others that do for the Sebenza's. Then all you have showing is the lanyard. Hope this helps.